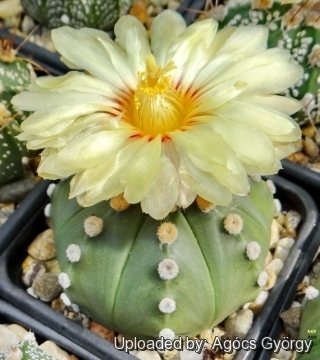 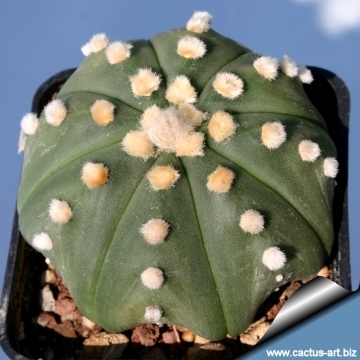 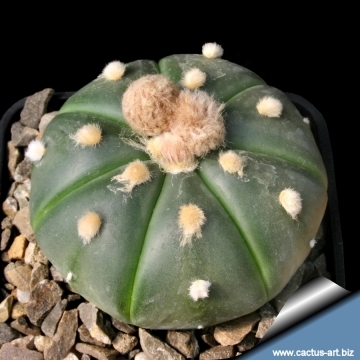 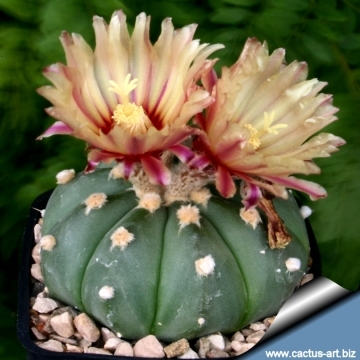 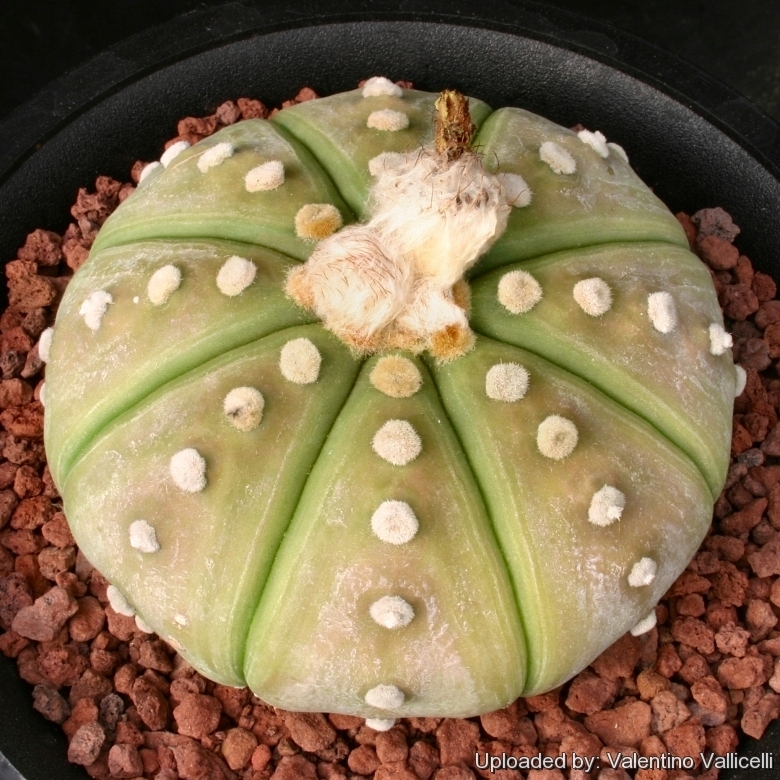 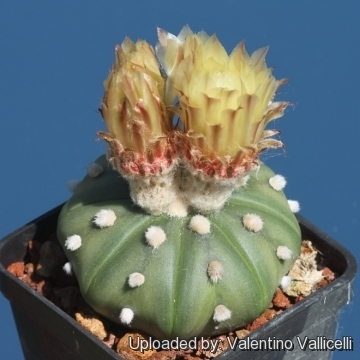 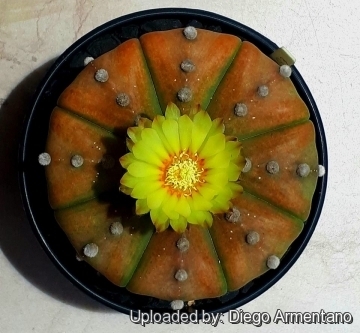 Description: This form has a very characteristic glabrous stem lacking the white tufts of loose hairy scales typical of the common Astrophytum asterias. 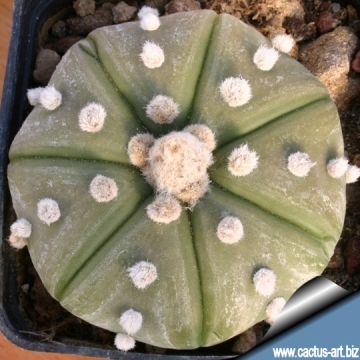 The smooth green epidermis show up the felty areoles. 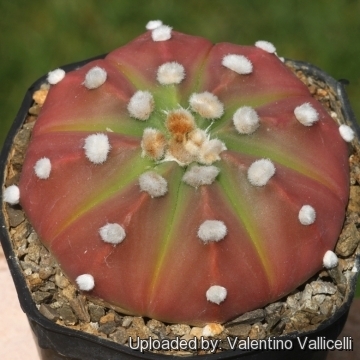 The plants during cold and dry winter rest often take a nice red colouring.